Take the FREE LifeScore Assessment! Are you hoping to live with more intention in 2019? 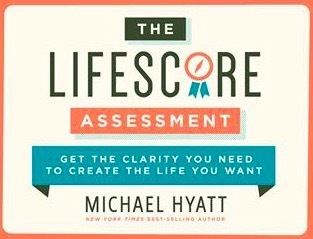 Take Michael Hyatt’s FREE LifeScore Assessment right now! This FREE tool is only available for a couple of days. With this tool, you’ll discover where you currently stand so that you can move towards the best version of yourself. This assessment tool measures all areas of your life: business, relationships, finances, health, and more. It’s pretty cool! I took it myself and found it to be really helpful. Go here to take the FREE assessment.